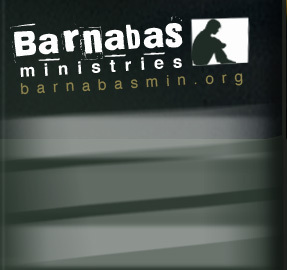 If you’re interested in becoming a volunteer or working with the Barnabas Ministry Team, download an APPLICATION and a background check form. 1. Confess Jesus Christ as Savior and Lord. 2. Regard the Bible as the authoritative, inspired Word of God, the final authority for all faith, practice, and discipline. 3. Faithfully attend a Bible-believing church, submitting to its leadership and wise counsel. 4. Personally seek full devotion to Jesus Christ and pursue personal and spiritual growth on a continuing basis. 5. Pursue peace and unity in the Body of Christ. 6. Refuse to speak negatively of others in the Body of Christ, recognizing that attacking one part of the body hurts us all. 7. Follow the Matthew 18 pattern of Biblical Principles for conflict resolution, choosing to speak directly to those with whom we have disagreements. 8. Use their position of Christian influence to advance the cause of Christ, giving the true Gospel of Jesus Christ to those in need. 9. Display a lifestyle that reflects absolute integrity in all areas, seeking to be above reproach and to live in such a way as to point others to the miracle of God as grace. 10. Pay their Biblical tithe (10%) and give regularly to missions. 11. Fully submit to and maintain respect for those in authority over them, including Spiritual authority. 2. Place Ministry Team members in a position matching their gifts, personality, and calling.